Posted on October 20, 2014	by Rev. Joe Jagodensky, SDS. It’s just one little flame from a short wick. One puff or a wind’s puff and it’s gone with a short aftermath of smoke. Fragile but appearing strong it finds its strength from its fluid- soaked stem. So it burns and we find comfort in its small light but barely enough to keep us warm. We light one candle, just for the heck of it, allowing our thoughts to wander from the known yesterdays to our predicted tomorrows while sometimes glancing at that one small flame in front of us. Our parents told us that this flame of however they named it would be ours throughout life forever guiding and lighting our ways. Clothes dryers call it a “pilot light” and you wait until you hear the click before going back upstairs. No click, no dry clothes. You hear a few circular motions of clothes and the hopeful click and you are comforted for the next load. Life then happens with all of its circular motions and you patiently wait for the pilot light’s click. Alas, silence and emptiness surround you because there is too much noise to hear that hopeful, promising click. If despair could be defined it would colloquially be said to be the click that was not heard. It is that pilot light or single flame that either ennobles hope or prepares you for the unwanted result. All the while it remains just one simple flame that can either light life’s path or warm its cold heart. The flame seems to move from one soft wind to the next, winds we cannot often feel. Winter approaches again in Wisconsin and I wonder why I remain here. Does one flame do it for me? Tragedy strikes and the pilot light seems to have been extinguished but has it? A midlife malaise settles in and you question your parent’s wisdom about this ever supposed single light. One simple, firm flame. It looks strong and secure but you know that one blow and it’s out cold. 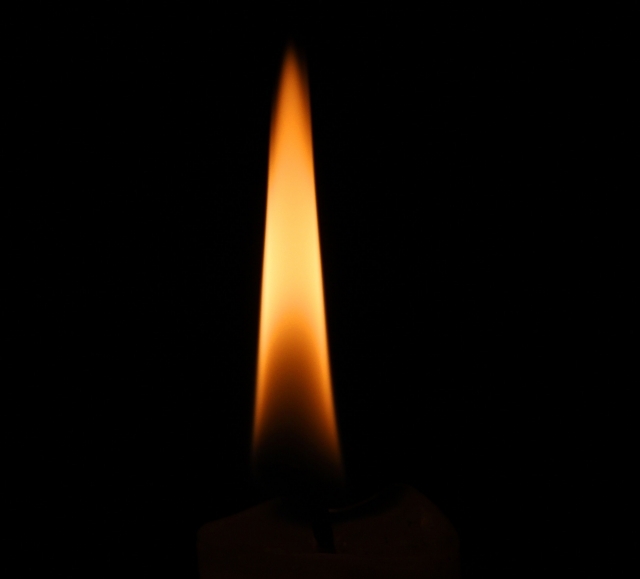 You are unable to make it bigger because it is only one flame. So, what keeps it going? What makes this flame last a lifetime and even longer? Is it the stem, the fluid or the end result; the simple, firm flame? I’m not sure but I am sure glad that my clothes are finally dry now.